Is Pinterest important to your business? Do you want to get your pins in front of more people? In this article, I’ll show you 5 ways to get your pins noticed on Pinterest. Pinterest has over 70 million users globally. The site also drives more referral traffic than Twitter, LinkedIn and Reddit combined. That’s a lot of traffic. And if you want to take advantage of it, your pins have to be seen not only by users who follow you, but also by new users. 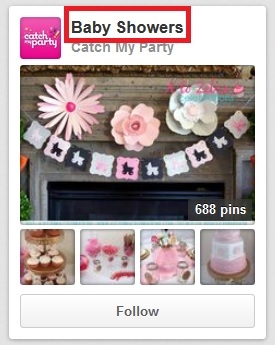 Many branded companies make the mistake of using only their branded name for their Pinterest user account name. This is not ideal, as they lose out on people searching for them with other terms. Add a descriptive keyword that you want to be associated with to the end of your business name to increase the chances of your Pinterest business account being found through a search for Pinners. Users search for Pinners when they are looking for specific brands and people to follow. This doesn’t refer to the URL that Pinterest assigns you, but your “Business Name.” You can edit your business name by going to Settings, and then Edit Profile. Add keywords to your business name to help you be found within Pinners search. Nikki’s Event Planning optimized her business name for the words wedding planner. But she didn’t put Nikki’s Events or Nikki’s Event Planning in her business name, so her Pinterest account can’t be located when using the Pinners search function. A Modern Proposal has both the keywords wedding planner and A Modern Proposal in her business name, and therefore the business shows up in a Pinners search for both terms. 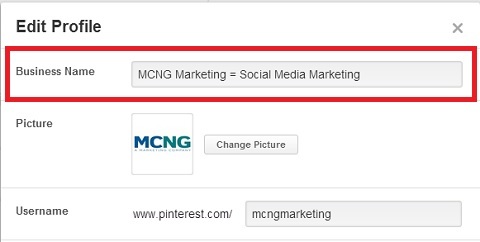 Make sure that your business name on Pinterest contains both branded keywords, and keywords you want to be found with. Even though users may not be able to see the keyword in your business name on a Pinner profile search result, adding a keyword in your business name will get your Pinterest account indexed in Pinner search results. Put keywords in the titles of your Pinterest boards so other users can find them easily through the Boards search option. 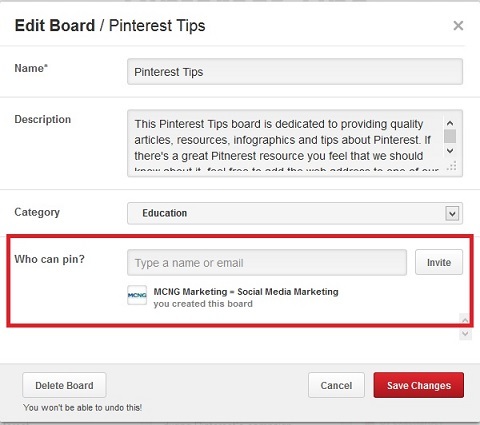 Pinterest users can also search for specific boards related to a search term under the Boards search option. Catch My Party is a site where people can share ideas about parties, but it also operates as an e-commerce site for party supplies. Although they sell all sorts of party supplies, they titled a board “Baby Showers” to increase their chances of being found by people who are planning a shower. Title your boards with keywords to help them show up in Pinterest search results. To rank higher in Boards search results for specific keywords, place them as close to the beginning of your title as possible. To increase the chances of showing up in Pins search results, include the keywords you want to be found for as early as possible in the description of your pin. To find out which words people are using when they search for something on Pinterest, all you have to do is type words related to your industry in the search box and popular suggestions automatically pop up. When I type in the word kitchen, autosuggestions like kitchen cabinets and kitchen décor pop up. Here, Home Bunch promotes their cream kitchen cabinets with a short description of relevant keywords they want the pin to be associated with. 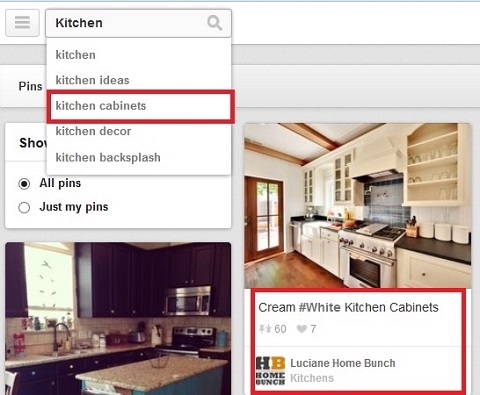 Home Bunch’s pin of cream kitchen cabinets shows up in search results thanks to good use of keywords in the description. Keep your keyword descriptions short and simple to show up in relevant search results. Pinning consistently can help people discover your pins and increase the number of followers you have on Pinterest. If you find yourself short on time, aim to pin 5-10 items a day. But if you do have the time and want to aggressively grow your Pinterest presence, then pinning 20-25 items a day is the best way to go according to Ahalogy, a Pinterest content distribution network. But don’t pin 20 pins a day for a week straight, and then nothing at all for three weeks. Pin on a daily basis when you can. Sephora is a good example of a brand that consistently pins a lot of content, but is careful not to overload their followers with a swarm of pins all at once. Sephora consistently pins something to one of their boards every 4 or 5 hours. Pinterest works 24/7 and pinning at different times throughout the day and night will help your pins be seen by new local and global audiences. According to Cynthia Sanchez’s article 3 Unique Ways to Use Pinterest, you should test and use response data to determine the best times to pin to your boards. Use a Pinterest analytics tool like Tailwind App to find out which days and what times are generating the most repins and likes for your pins. To reach pinners in another time zone, you can even schedule some of your pins with Viral Tag. It’s a fact that not every one of your followers is going to see all of your pins. That’s why it’s important to repin previous pins from weeks and even months ago. If you’re gaining new followers fast, this tactic will help them discover great content from the past that’s buried under your other pins. Many successful group boards have hundreds of contributors and thousands of followers so they’re a great way of getting your pins in front of a larger targeted audience in a much shorter time. 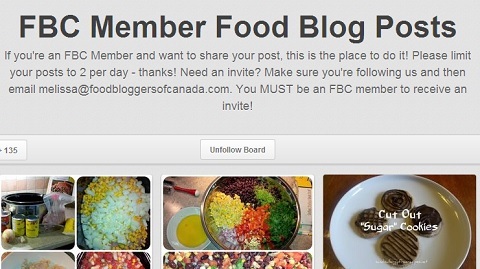 Food Bloggers of Canada created FBC Member Food Blog Posts to help promote the pinned blog posts of their members to a larger audience. Group boards can also be used by any neighborhood business association or professional association. This is a tactic that any neighborhood business association or professional association can mimic. Pinterest Group Boards World lists dozens of group boards for topics ranging from women’s shoes to knives. While some group boards show contact information for the founder of the board in their descriptions, other boards require an invitation from a pinning member. If you can’t find a group that matches your interest, consider starting one of your own. To launch your own group board, create a themed board, then invite any pinners you follow who also follow you to become part of the group. You don’t want to leave the discovery of your pins to chance. Use these tips to create a great strategy and your Pinterest presence will be a success. What do you think? 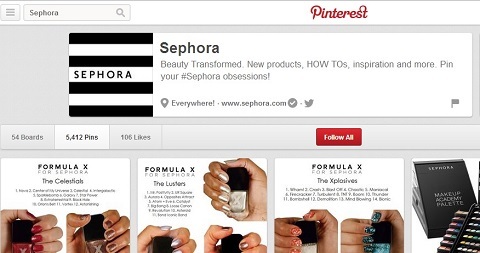 How do you discover other pins on Pinterest? What tips can you offer? Drop us a line in the comments section and share with others. Vincent Ng is the founder of MCNG Marketing. He helps business businesses go from Pinterest to profits. Download his e-book, How to Search Optimize Your Pins for Pinterest and Search Engines.